Our mattress options make it easy to find the right mattress for your sleeping style and budget. Since we actually make what we sell, whichever you choose, rest assured all of our mattresses offer proper support, comfort and durability. Need help choosing... we're just a phone call away. Hotel quality comfort and durability with memory foam or naturally cooling pulse latex options on our Powercore spring unit. Best for those who prefer a firmer mattress. Independently top rated 4 years in a row. 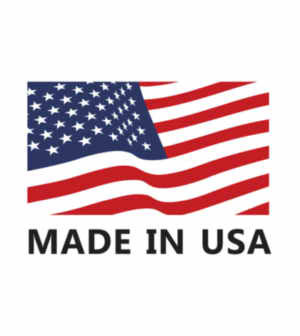 The superior qualities of natural Talalay latex and Powercore 2 spring unit in 4 comfort choices. The best choice for most back and side sleepers. 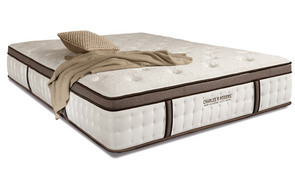 More coils (2100-4200 queen size) and more natural Talalay latex for more luxurious comfort. Zipper top option has reversible cassette for firm/soft choices. Best for back/side sleepers needing a plusher feel. 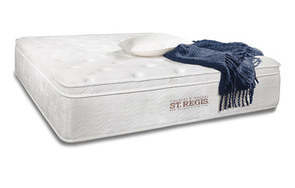 Experience builds better mattreses and with every Rogers mattress you'll feel the difference of that experience. Every mattress we make is built to dramatically improve you're ability to get a great nights sleep. As the manufacturer we can also insure that you'll never pay for hype or expensive advertising campaigns. Great mattreses start with the springs.